The Lonely Christmas Tree is born with a purpose to be cherished by someone at Christmas. When the tree is the last one remaining in the lot, the tree starts to believe that all hope is lost. A bright light comes along restoring faith in dreams and encourages the spirit to persevere. The tree is small and limp but has the spirit to find love and acceptance. This story demonstrates that all of us have that spark within us to find what we long for. Persistence and fortitude can lead us out of despair to the light that shines for all of us. This is such a sweet little book! It is so full of heart and Christmas spirit that I had to read it a few times to the kids because of the beauty it held. Just looking at the lonely tree he isn't much to look at but wow! He is just so full of the holiday spirit it makes you realize that is what is important; not the outside but what's on the inside. I really liked the pictures and I loved the rhyming too! Whenever I hear stories that rhyme it makes me think it is like a song and I just want to sing it. I felt so bad for the little tree but I thought he was beautiful just the way he is! I didn't like the other really big trees and I thought he was the perfect size. I know my family and I would have been happy with him. My favorite part was when the children decorated the lonely Christmas Tree and made it even more happy and beautiful. The children were happy and smiling enjoying each other's company, even though they didn't have any presents. They didn't need any because they had the love and Christmas spirit and that was enough. Brent Marthaller lives in West Fargo, ND, and has written music and lyrics since 1978. During the 1980’s and 1990’s he was a member of several bands which performed throughout the area and at local venues. While those days of performing are in the past, he continues to write whenever he can. He also enjoys introducing his grandchildren to all varieties of music. Exclusive Hardcover versions may be purchased for $11.99 directly from the author website! What says Christmas time better than the true story of Christmas. 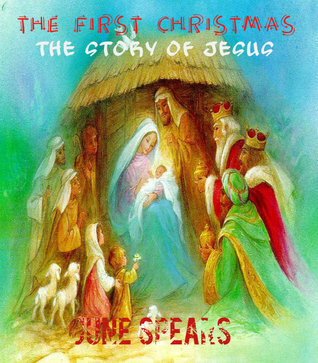 The story of Jesus broke down for children to understand. With sketch illustrations to match. First, the illustrations are so sweet and beautiful we enjoyed looking at those the most. I loved that there was sketches, even though it was an e reader version. I also liked that the chapters were short because it is hard to keep a young child's attention span ( 4 years old) if the chapters drag on and on. I am not usually one to do the religious books, but I figure you can't go wrong with Christmas time anyways. It was nice how Mary, Joseph, the angels, God, and Jesus was explained in simple terms for a child to grasp. However, in one of the chapters it talks about how Joseph thought Mary was unfaithful and back then she could be stoned to death for it. I felt that might be a little too much for anyone younger than 8 to really talk about. And besides this is supposed to be a fun book but that little tidbit of information kinda put a downer on the rest of the story for me. I know my seven and four year old boys got bored with it because there was a lot of explanations for some of the ideas in it. I could have been reading it to a younger age limit to handle it, though, so that could be my bad. I did enjoy getting a little explanation and especially enjoyed seeing quotes from the Bible in it as well. Overall, this is a cute, short, and easy way to tell the kids about how and why Christians celebrate Christmas. I would skip the small part of "being stoned to death" to keep the mood light and cheery. I gave it 3 stars! It's interview time! 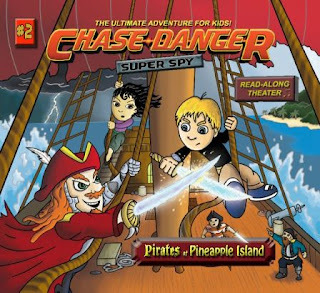 We are so excited to have the star of the new spy series we love, Chase Danger Super Spy and he is kind enough to answer a few fun questions for us! Also the authors, Chad, Lisa, and Chase Oliveria, have been so great to offer a free signed copy of their book in a giveaway we are hosting. Chase Danger is a boy just like your son: He loves his family, friends and pizza. He is also easily enraged by bad guys, who he quickly hunts down and defeats. 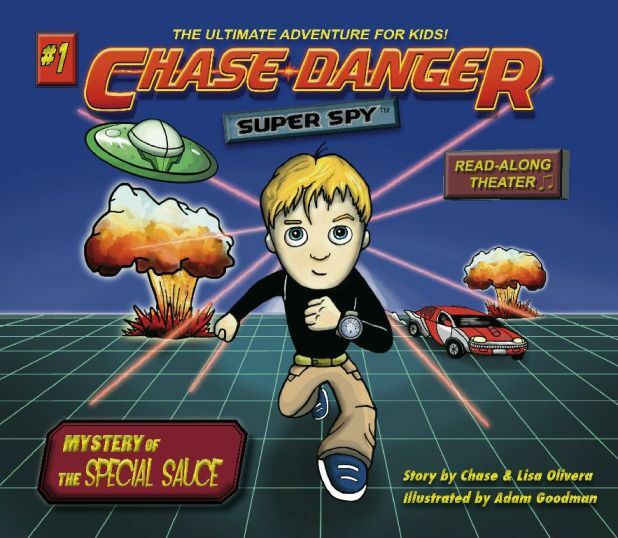 In his first adventure, he fights a giant octopus, pilots a flying saucer through space, builds his own flying car, and visits Paris, where a "special sauce" is brewing to take over the world. Along the way he befriends Ali Bali, a mysterious girl with secrets of her own. KCFSR: Is it hard being a spy? Chase: It's natural. If I had an older brother, I would spy on him. I'm an only child, so I spied on the neighbors. When the neighbors turned out to be bad guys, I was in business! KCFSR: Besides pizza, what is your other favorite food? Chase: Zalezgon's Spicy Jalapeno Chunk o' Cheesy Guacamole Burger. I also like whatever my Mom or Dad cooks. Pizza is really just a treat. KCFSR: What is your favorite color? CHASE: Blue. Ali says she likes to paint bad guys black and blue. I like those colors too. KCFSR: Ha! Good one! Do you have any super heroes or movies that you like a lot? CHASE: My favorite superheroes are Ironman and Batman. My favorite movies are Pirates of the Caribbean, Indiana Jones and James Bond. KCFSR: We like those too! So who was the toughest villain you ever fought? CHASE: Probably Veisky. You won't believe me when I tell you this, he really is a villain! Everyone likes him though. He's very slippery. KCFSR: Can you give us any teasers on what to expect from Chase Danger Super Spy? CHASE: You wouldn't believe me if I told you. But you can expect even more action, suspense and intrigue than any other Chase Danger book. Ali and Alixson will be helping me out, and I'm really excited about that! The Veisky is a master of many things, including magic and music! He's actually a virtuoso violin player! How does playing the violin fit in?!? You'll see. That's it everybody! We are so happy that Chase had time to stop by here and chat with us! Don't forget to enter the giveaway to win your very own signed Copy of Book 1! It is such an exciting series that we are really enjoying! Don't forget to get your parent's permission (if you are under 13) to enter the giveaway. You also have 36 hours to reply back or another winner will be chosen. US residents only. To Enter the Chase Danger Super Spy Giveaway click HERE.